– FanDuel, one of the leading platforms in the very popular daily fantasy sports industry – which is essentially its own form of betting – has been assisting users with “Guru” picks since the beginning of the 2018 NFL season. This turns what is ordinarily a fairly speculative process of trying to win money on athletes’ performances into a process augmented by an intelligent analytical tool designed to help people make good decisions. – Predict it, an increasingly well-known politics betting market, has had certain sophistication since its inception, not in analysis or AI, but simply in its arrangement. It’s one of very few betting markets to actually be arranged like a stock market, such that you essentially buy shares in an outcome, rather than simply putting money on one. – Various poker platforms across the web have advanced to include live gaming, a feature that adds a great deal more accountability to the games. The result of this is that when once bettors investing in poker games had reason to be wary of automated game systems, they are now able to literally see dealers distributing cards and running games. Even though the games themselves are the same, this can give players the impression they have more control over outcomes. – In sports betting, advanced analytical programs have reached a point at which there actually is a growing population of major gamblers who seem to be able to profit based on patterns and tendencies they observe that others cannot. It’s difficult to say much more though. We hear of occasional success stories in this area – one prominent NBA gambler was even hired by a professional team, presumably to help with analytics – but overall, it’s difficult to analyze advanced sports betting analytical systems too closely, as they’re often kept fairly secret. Through these examples you can see numerous ways in which betting and gambling activities have actually progressed. There are more tools to help people make decisions, better analytical systems, more intuitive arrangements, and better means of establishing accountability from a game provider. Altogether, these factors do make certain kinds of betting more similar to investment for those who are able to take advantage. However, it’s still a very risky proposition to think of these activities the same way you think of investment. In sports and event betting, and in real-money gaming, there are still unforeseen circumstances that significantly outweigh those of market investing, and which no existing tool or system can predict. 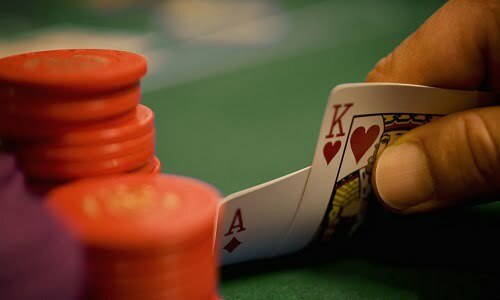 For instance, even if you have complete confidence a poker game is fair and you know the mathematical probabilities of winning with a given hand, you never know what cards an opponent is dealt. Even if you have all of the analytical data in the world before betting on a basketball game, you never know if a star player will get injured. In the stock market, there are certainly unpredictable variables – a CEO falling ill, an earnings report having a devastating effect – but they are far less frequent and far less likely than the everyday mishaps that can occur in sports, gaming, and politics. Additionally, the key factor that really differentiates betting from investing persists regardless of any new, sophisticated tools or methods. That is that investing depends upon investors, whereas sports and politics are going to happen whether or not people bet on them. A market price has a direct, visible, and constant relationship to the people buying in, which makes trends more apparent and makes predicted movements more reliable (though obviously not wholly so). That’s not to say that your buying $100 worth of Apple elevates the stock and makes you more money, of course. But no such relationship exists at all in popular betting avenues, and that by nature makes these markets less predictable, and therefore riskier to buy into. None of this is to say that you should never place a bet, and have fun doing it. However, there is a danger that as some of these practices become more intelligent and appealing, people will start to consider them as viable investments. For now, and for the foreseeable future, that simply isn’t the case.